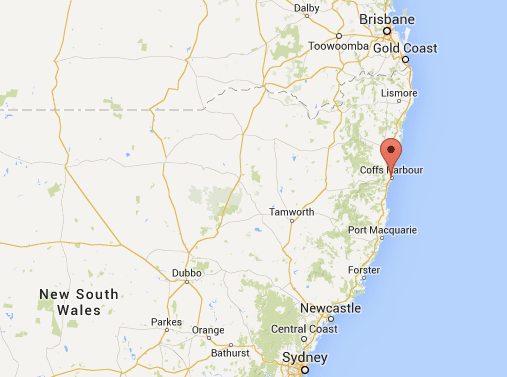 To be honest, I’m actually not a big fan of Coffs Harbour. The town just doesn’t do that much for me. So why did we visit Coffs recently and why am I writing a blog post about the best things to do in Coffs Harbour? Well, what I do really like is the region surrounding Coffs Harbour. There are some great nearby beaches, towns, and National Parks. Even the drive into Coffs is pretty whether you’re coming from Sydney or from Armidale down the Waterfall Way. 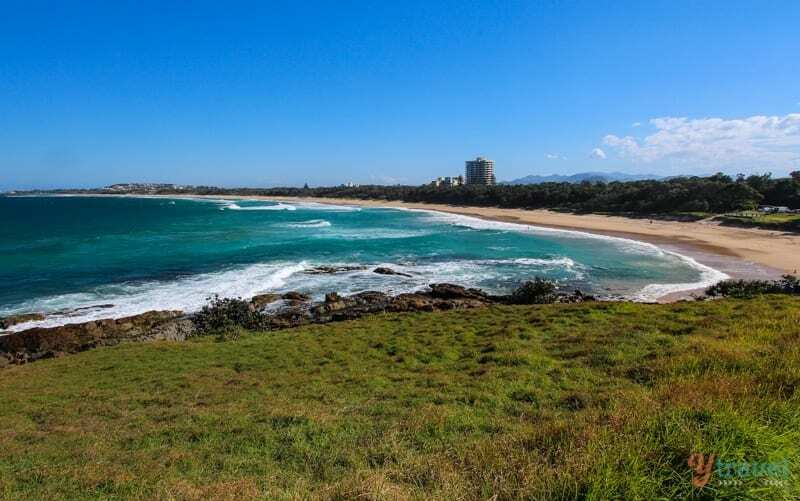 So when I think of Coffs I think of it as a base for exploring the surrounding area, and this is what gets us as a family going back for more. On our recent visit during our road trip through NSW we didn’t even stay in Coffs, but down the road in nearby Sawtell which we much prefer (more on that later). But for now, I want to share some of my personal tips for the area besides the typical Big Banana and Park Beach attractions. 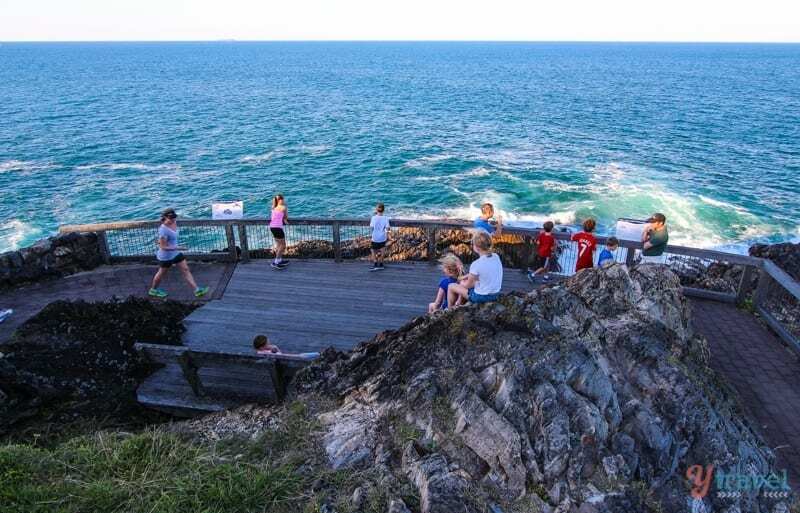 Ideally situated half-way between Sydney and Brisbane, Coffs is a popular stop off point for people doing the Sydney to Brisbane road trip, but for those looking to spend a week or two the region is big enough and has something for everyone. 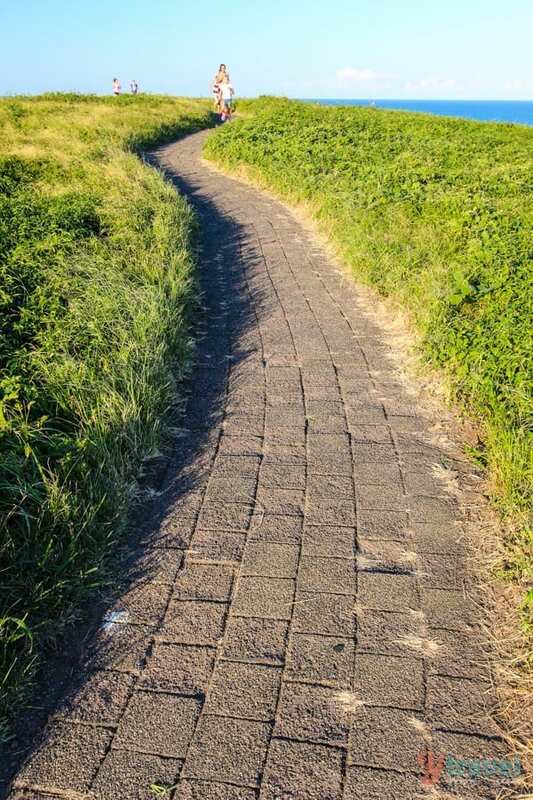 One of my favourite things to do in Coffs Harbour is take the short walk up Muttonbird Island. 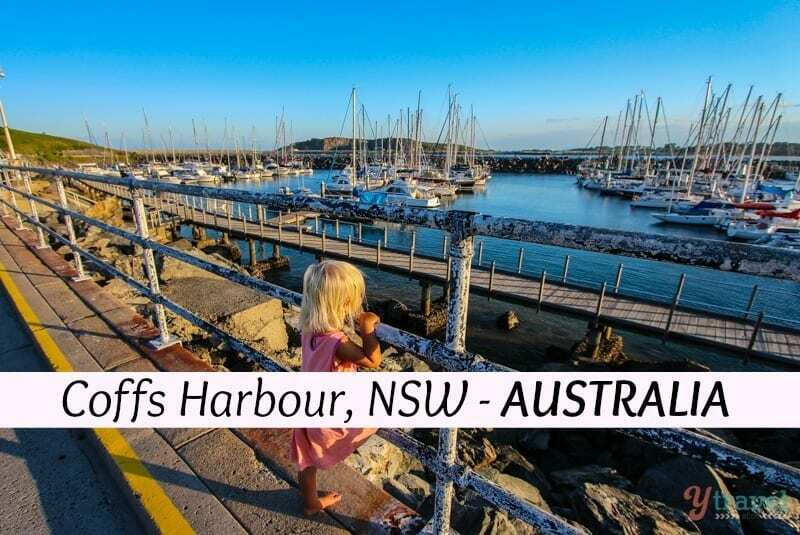 We didn’t even know about this place until a few years ago when we went for a walk along the breakwall at the Coffs Harbour Marina and there it was. On approach, I actually envisioned myself being back in Ireland as it was so green and had the rugged cliff face look about it. The walk to the top gives you incredible views up and down the coast and over the mountains. It’s the perfect spot to sit and watch the sunset over the Marina. 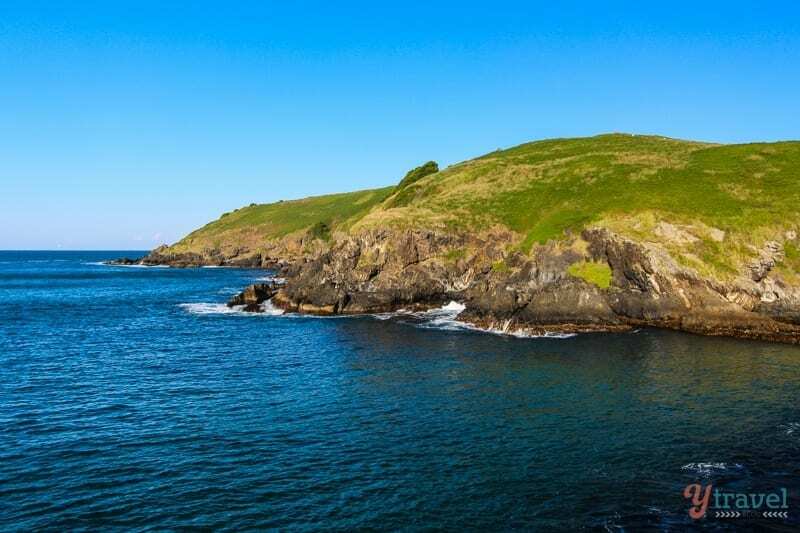 Muttonbird Island Nature Reserve is also great for bird lovers, being one of the only easily-accessible places in NSW where the migratory wedge-tailed shearwater nests. 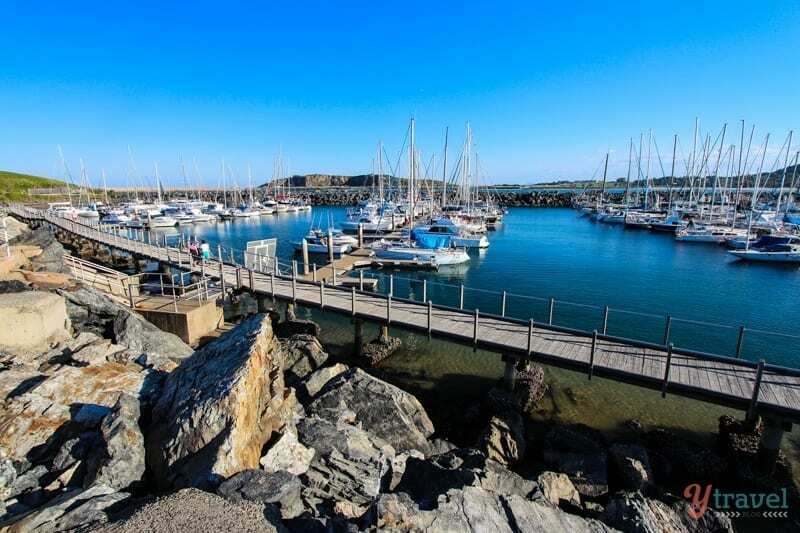 If you like boats and towns with a marina and jetty, Coffs has a really nice one. At the entrance to the jetty precinct on Harbour Drive there’s a collection of cafes and restaurants and on Sunday’s is the jetty markets. The Marina Village also has cafes, restaurants a fish co-op and an ice creamery. Latitude 30 and the Sailing Club are good spots to have a wine and beer and watch the surfers and the sun go down. 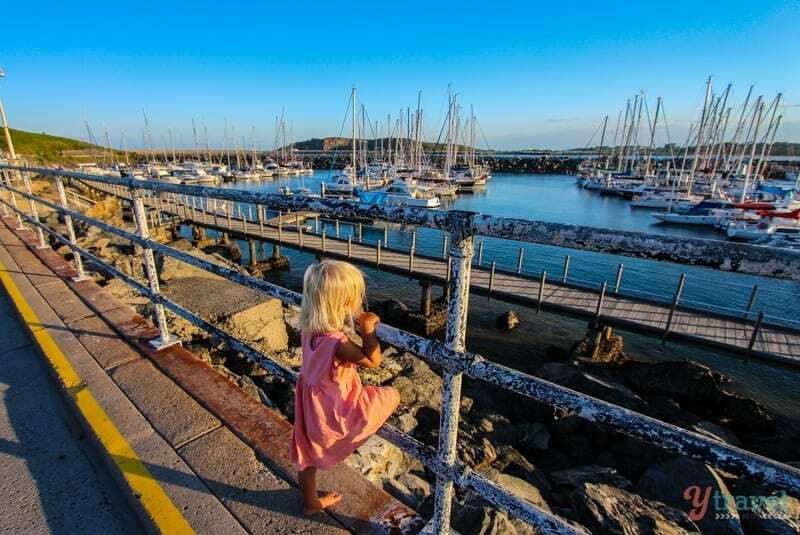 The Marina is also where the whale watching boats depart from in season (June to November). 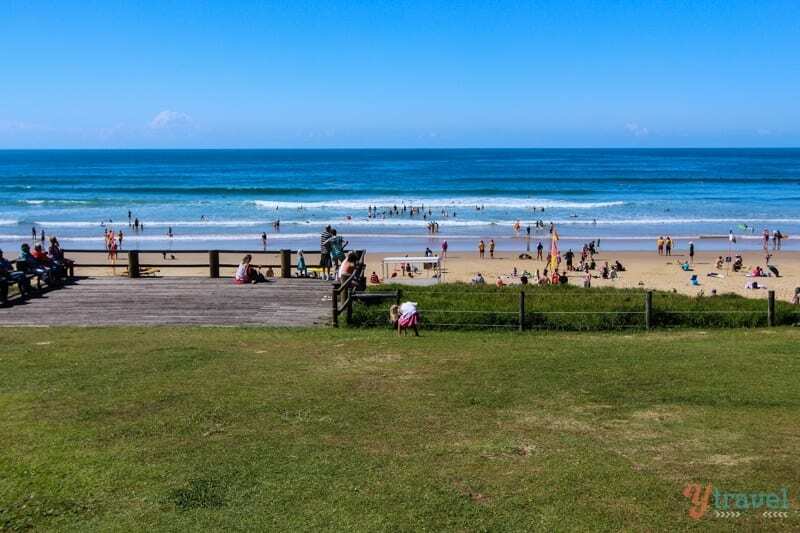 One of our friends who lives in Coffs Harbour recommended we check out Diggers Beach (located across from the Big Banana) and we’re glad they did. It’s a great family-friendly beach being sheltered and wide making it a nice place for our kids to swim and play on the sand. It’s also a popular surfing spot for the locals or for a wind-free beach walk. Whilst in the Diggers Beach area, we did the Macauleys Headland walk which runs between Diggers and Park Beach. You can start at either end and the views of the ocean and of both beaches are spectacular. The spot overlooking Park Beach in the photo above is a great place to sit and watch the surfers. 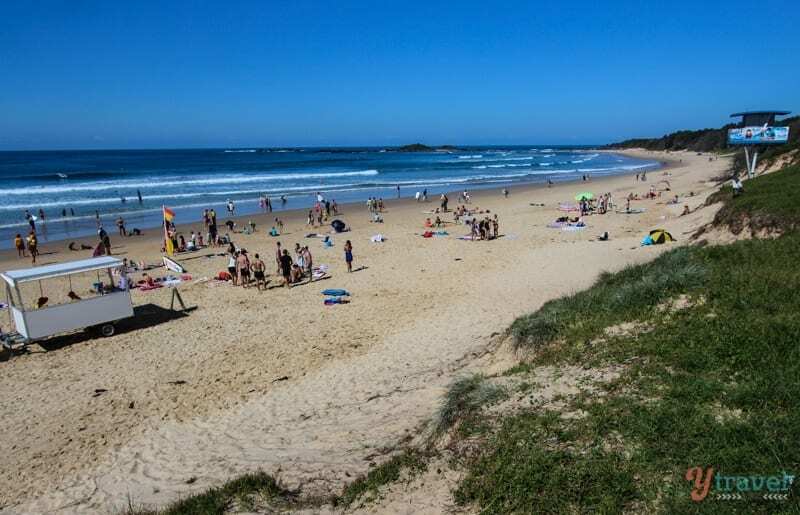 Sawtell is a lovely little town 15 minutes drive south of Coffs Harbour and where we chose to base ourselves. The main street is picturesque and divided by big fig trees with plenty of cafes and shops lining both sides of the street. 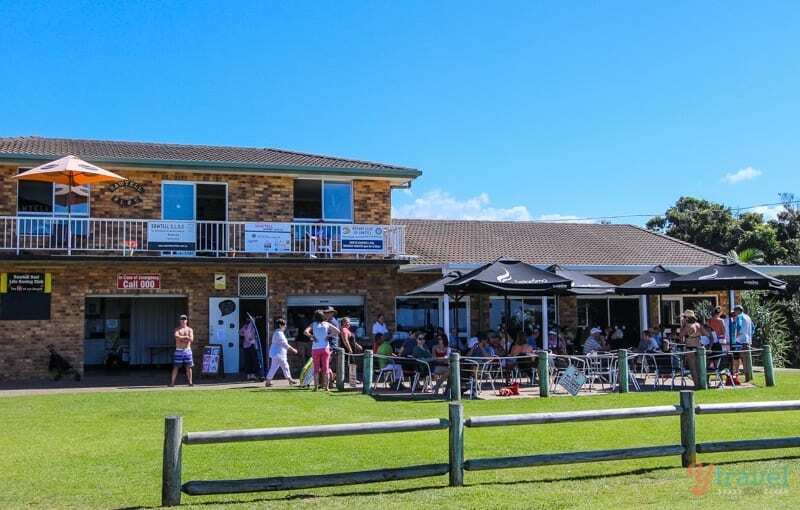 Seasalt is popular for takeaway fish & chips, and the cafe at the Surf Club on the beach is great for a meal, a coffee and classic beach views. 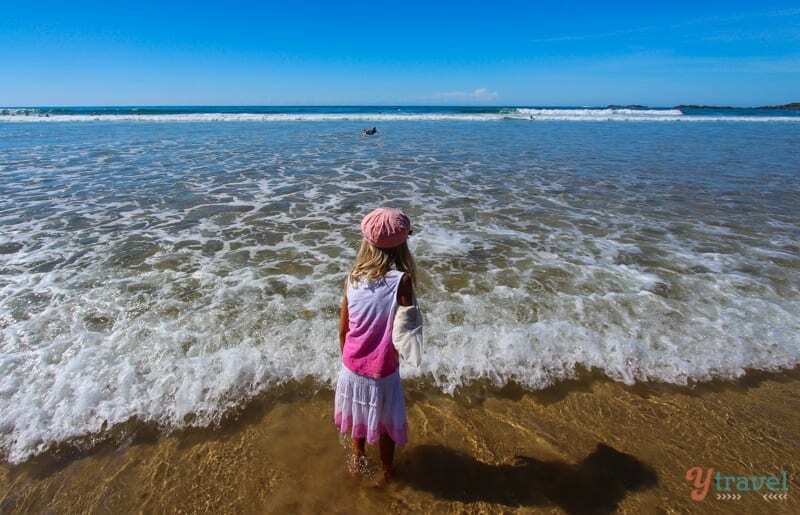 Sawtell Beach is family friendly, especially toward the southern end which has a nice tidal rock pool area and Sailors Bay, an area sheltered by a small island which can be reached at low tide. 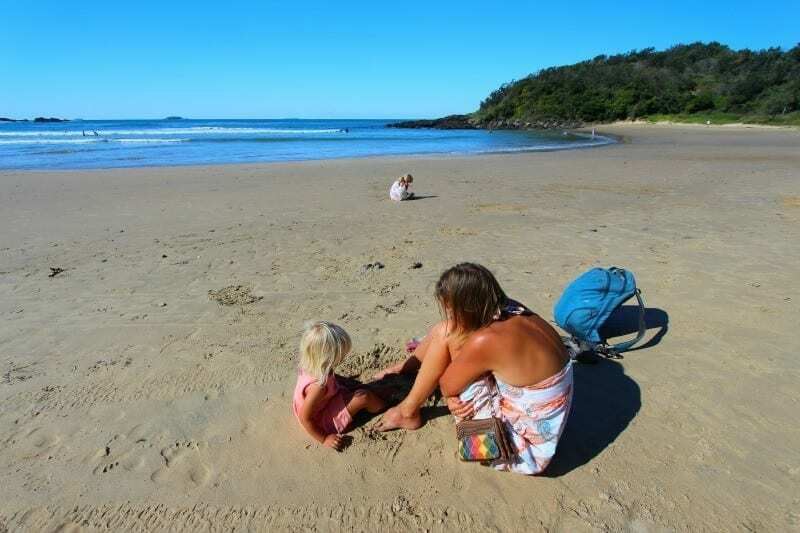 We stayed at the Sawtell Beach Caravan Park. 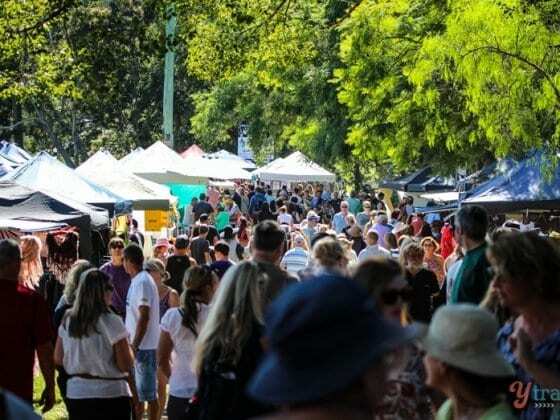 Bellingen is a super laid-back town in the valley just a 30-minute drive from Coffs Harbour on the Waterfall Way. 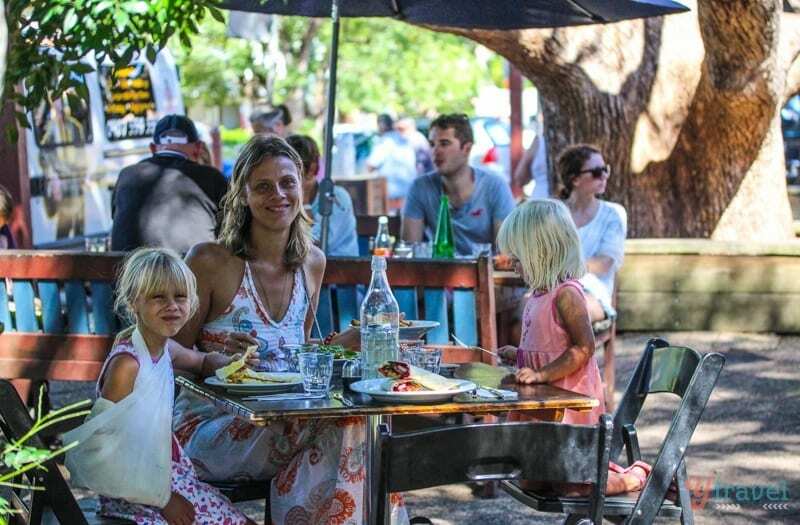 It has a lovely tree lined street and river running through town, and has an artistic feel and lively cafe scene (we recommend Black Bear Cafe). 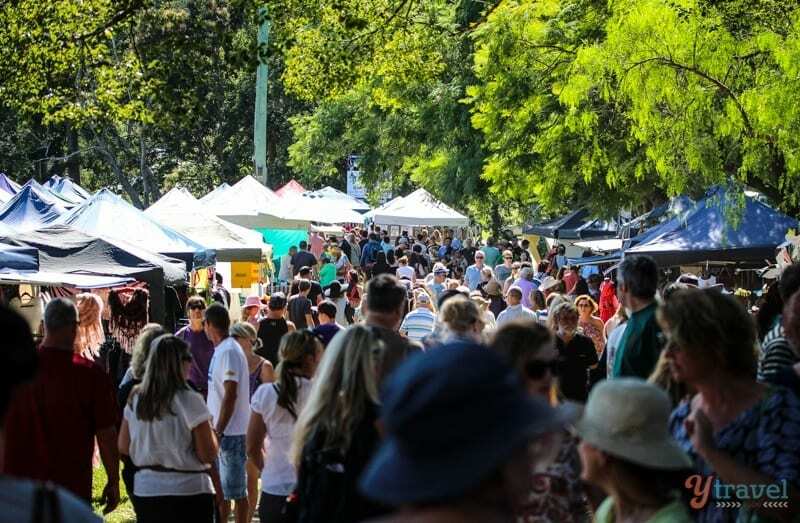 But on our recent visit to Bellingen the thing we liked most was visiting the Bellingen Markets which are one of the biggest and best regional markets in Australia. The markets are only on every third Saturday of the month so you have to time your visit, but if you can they’re definitely worth it. For a great day trip from Coffs Harbour, Dorrigo is only 65km (1 hour by car). Continue on past Bellingen and up the Waterfall Way and you’ll get to the town of Dorrigo. 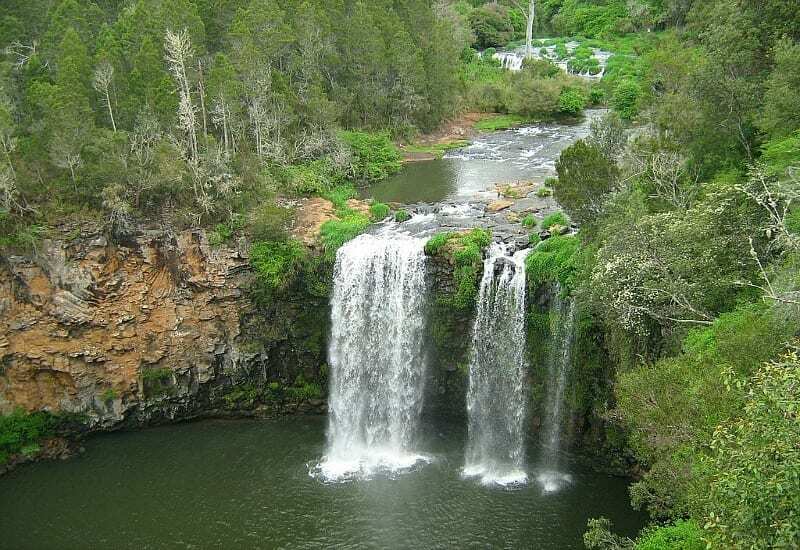 Drop in for a coffee and then visit nearby Dangar Falls. This town is also the gateway to Dorrigo National Park where you can enjoy waterfalls and rainforest walks – including an elevated Tree Top walk starting at the Dorrigo Rainforest Centre. We also recommend the walk to Crystal Shower Falls (you can walk behind the falls) and the Glade Picnic area is a nice spot for lunch. 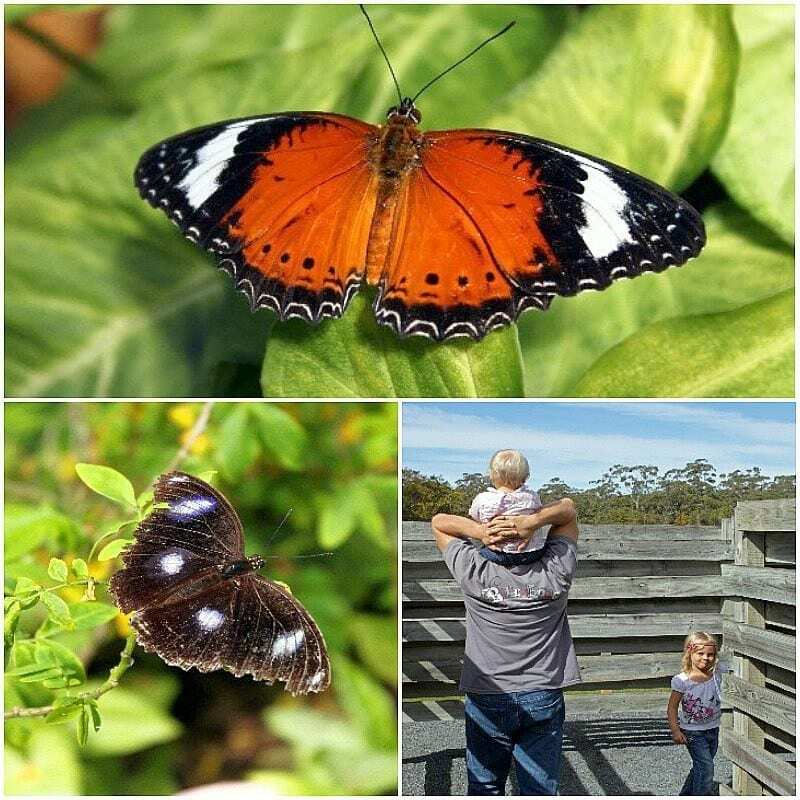 Our kids really enjoyed The Butterfly House in Bonville. Kalyra is mad on butterflies, and so is Caz. Get amongst 400 butterflies in an indoor subtropical rainforest setting as they fly around and even land on you making it one of the easiest places I’ve ever photographed a butterfly. 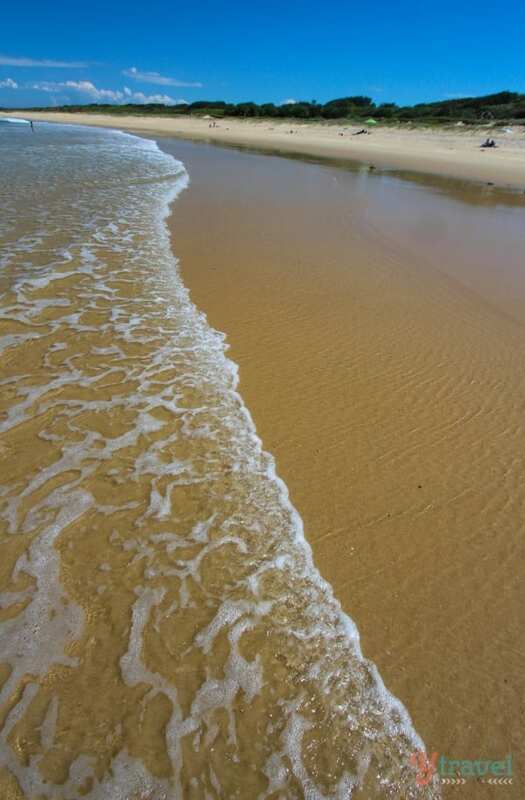 Another great tip from our friend living in Coffs was to visit Red Rock Beach. Red Rock is a tiny but beautiful village an easy half an hour drive (40km) north of Coffs Harbour, and the beach is absolutely stunning. Climb up the cliff on the northern end for a top view looking down the beach. Kalyra and Savannah loved playing in the gentle water and collecting shells on the beach. There’s a Caravan Park at Red Rock if you’d like to stay over a few days and explore the many beaches, lagoons, and swamps in the area. 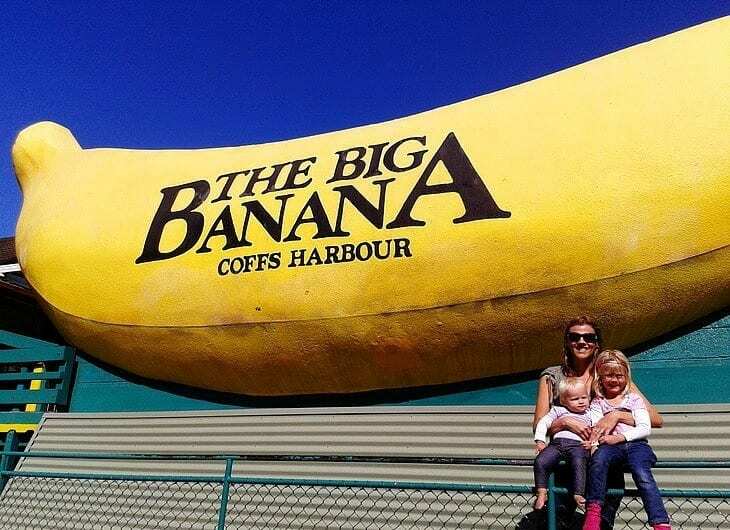 I can’t decide whether the Big Banana is a must visit or a totally over-hyped tourist trap. I’m leaning towards the latter. 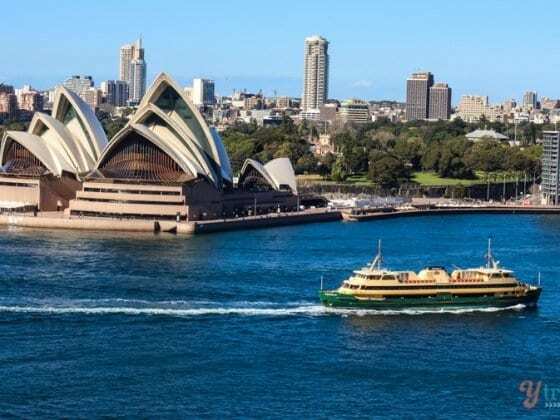 It’s one of those famous Big Things we have going on here in Australia and you can’t miss it from the road as you head north out of town. I’d visited many times as a youngster and it now looks incredibly small compared to when I was ten. We didn’t stop in on this occasion, but our kids enjoyed it a few years back which is all that matters, and for me (and possibly our kids) the best thing about the Big Banana is the banana split sundae from the cafe. 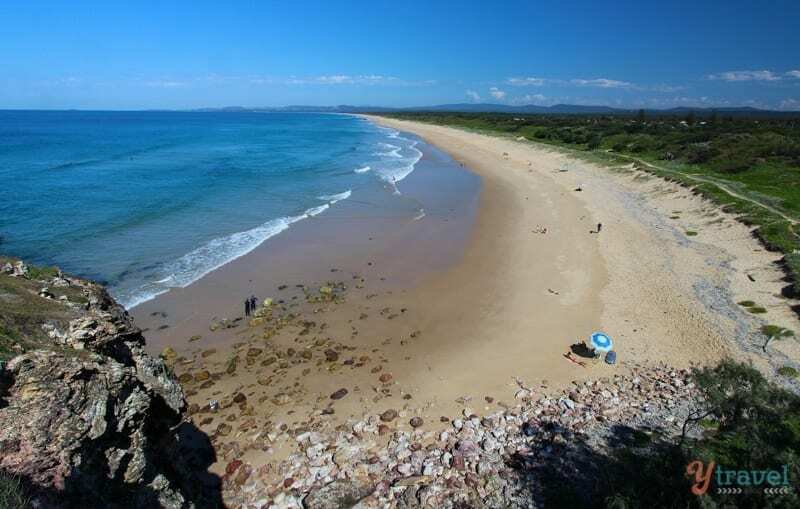 Coffs Harbour is a 6-hour drive north from Sydney or 4.5 hours drive south of Brisbane. If you’re coming from Armidale down the Waterfall Way it’s about a 2.5 hours drive. 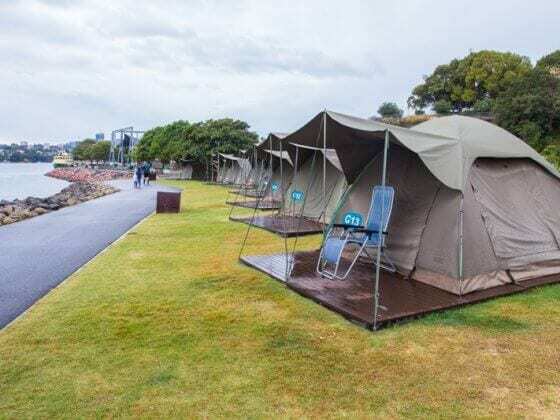 We stayed at the Sawtell Beach Holiday Park and for more information on things to see and do in Coffs Harbour, check out the the Destination NSW website. Do you have any tips on things to do in Coffs Harbour? 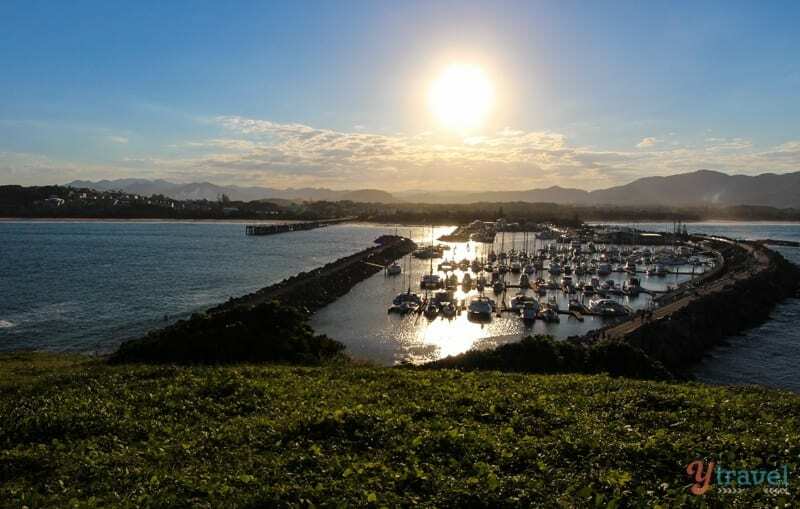 Coffs harbour looks stunning! The beaches look heavenly blue… I like the Red rock beach – looks different and pretty. Red Rock Beach was a great discovery! Love local tips like this. I could see how Coff’s could be a good base point. It’s so close to such beautiful places: The Dorrigo Falls, butterfly sanctuary, blue beaches! Exactly. The region has a lot to offer. Great list of things to do in the Coffs area. 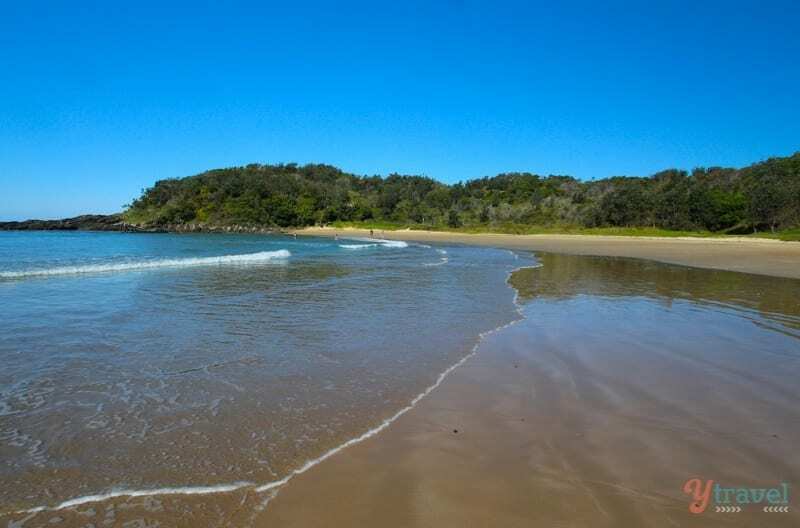 I love Muttonbird Island, Coffs Marina, Dorrigo National Park and Bellingen. I will have to check out the beaches next time I am up that way visiting friends. Some really nice beaches in the area. A few we missed too. Australia is so spoiled for beaches … never heard of Coff’s Harbour and wow – just amazing places I’d kill to have here in Canada! Thank you Lyn. The Coffs region is great.